Located on the Yangtze River Delta in East China, Shanghai is among the world’s most populous cities. It is also a major financial center and transport hub that has undergone significant redevelopment since the 1990s. 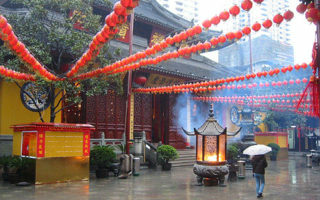 It is enowned for its Lujiazui skyline, and museums and historic buildings, such as those along The Bund, as well as the City God Temple and the Yu Garden. 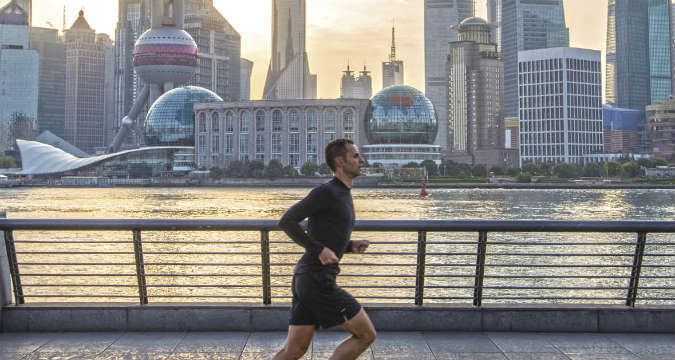 The best spots for running in Shanghai are in some of the parks and along some of the promenades and pedestrian paths that have been developed. 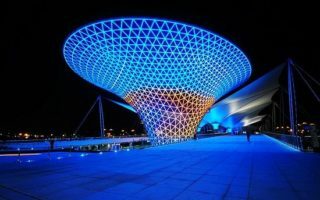 Our highlights include The Bund, the Xuhui Riverside Open Space, Century Park, and World Expo Park in Pudong. Finding a good spot to run outdoors in Shanghai can be a challenge. There is intense car and people traffic, and pollution can be an issue as well. However, there are many roads with wide sidewalks. And a great transport system makes it easy to get to a favorite spot. Downtown Shanghai is bisected by the Huangpu River. Remnants of the old part of the city are on the western side of the river, inside of Renmin Rd. 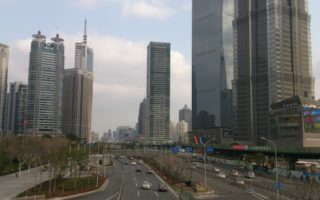 The central financial district Lujiazui has grown up on the east bank of the Huangpu (Pudong). The city’s topography is generally flat. Public transport in Shanghai is a necessity and is fantastic, with metro, light rail, and buses. All of our routes are easily accessible via the Shanghai Metro System, which has 364 stations. And for those in Boston who run to beat the ‘Green Line’, try the Maglev train, which goes 268 mph! One of the most famous spots in Shanghai. 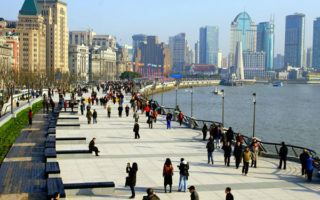 The Bund is a pedestrian path along the Huangpu River, with views of skyscrapers on one side and the wharf on the other. It's 1.6 km (1 mile) in each direction. Separated path for some of run, with some water views. It's 3.2 km from the Waibaidu Bridge (east end of run) to Jiuzi Park (west end). The park has a running track. Good to combine with The Bund run at Waibaidu Bridge. Known as the Shanghai Corniche. 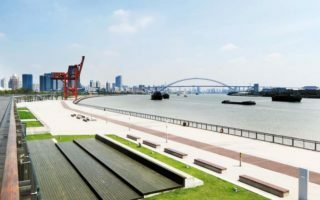 Riverside path along the Huangpu River in Shanghai’s Xuhui District. The path runs about 5k between the Dapu Rd. tunnel and the Longyao Rd. tunnel. A busy Shanghai run through the Jinhg'an residential district. Highlights include skyscrapers, the British Consulate, Moganshan Road art area, and a jaunt along Suzhou Creek. Wide sidewalks most of the way. One of the better park/trail options in central Shanghai, with several important sites. About 5.4 km (3.4 miles) out and back. World Expo, China Art Museum, British Museum are all in proximity. 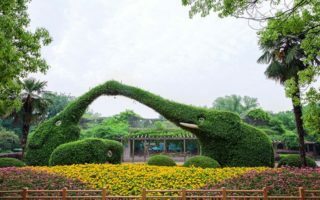 The largest park in Shanghai, located in the Pudong New Area. Lovely trails along lawns, woods, and lakes. One can easily do 5K within the park without overlapping. Pudong Area – Century Ave.
A good, flat run in the Pudong area along leafy Century Ave. It's 4 miles from Century Park to the TV Tower. Lots to see, including spectacular skyscrapers, and several sites at the western end. Metro Line 2 runs along the route. 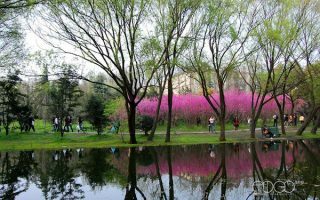 The largest green park in Shanghai, with an area of about 200 acres. 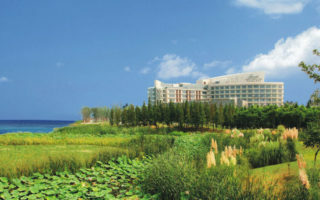 There is a lake, marsh area, forest, and European gardens. It's about 4 km around the perimeter paths. Close to the airport, and a decent option to get in some off road, paved trails. One can put together ~5-7k, not overlapping. Some greenery and landscaping. 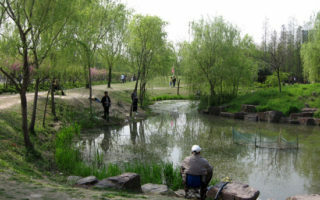 The second largest park in Shanghai. It's lush and green, with paths along grassy areas and some more forest-like trails. One can easily put together a nice run of a few km around all the paths. Reachable via Metro Line 8. A nice destination run. Take the train out to the lake, enjoy the wonderful trails, and enjoy lunch and a swim at the Fairmont Hotel on the lake! 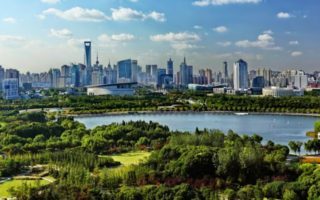 Shanghai has a humid, subtropical climate, similar to that of Washington, D.C. Winters are chilly and damp, with average January highs in the 40s (8C), and low temps just above freezing. Snowfall is rare, maybe once or twice a season. Summers are hot and humid, with average highs near 90F (32C), and nights that stay in the high 70s (28C). Be sure to plan and hydrate accordingly. Summer thunderstorms and downpours can be frequent. Autumn is the most pleasant season: warm, sunny, and dry. Shanghai has a huge number and selection of hotels. There are abundant hotels in nearly every section of the city where the business or leisure traveler might want to stay. Lujiazui Financial District (Pudong): Good running along Century Ave. Or go across the river to access The Bund and Suzhou Creek. Century Park. Good selection of hotels near the park. The Bund/Suzhou Creek. Some great hotels at the northern end. Higher end and more expensive. 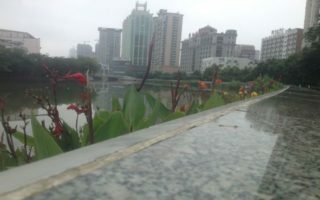 Daning Lingshi Park. Several hotels nearby, including the wonderful Parkview Marriott. New Balance has two stores in Shanghai, and is a great spot to get running gear. Mizuno also has two stores in Shanghai. See the map on the Shanghai home page. There are not any indy type running stores in Shanghai that we are aware of.